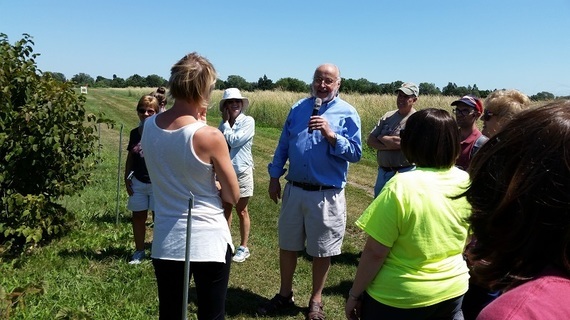 July 17-18 – Specialty Crop Tour: $25 We will be visiting Untiedt Vegetable Farm near Montrose, Len Bush Roses near Plymouth, Big River Farms (works with immigrant and beginning farmers), Minneapolis Public Schools Nutrition Center and several other sites. July 24-25 – Many Faces of Agriculture Tour: $75 We will be traveling to New Sweden Dairy Farm, Children’s Museum of Southern Minnesota, U of M Outreach Center (pigs and cattle), Chankaska Creek Vineyard and Winery, and Farmamerica. Arnold’s Implement will be providing tractors and other implements for tour participants to drive at Farmamerica! This is an overnight tour with a hotel stay in Mankato. CEUs will be given to all participants. Graduate credits are available through Hamline University at a cost of $358. 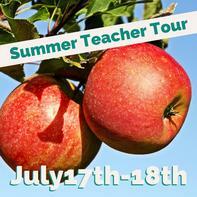 For additional details and to register visit http://minnesota.agclassroom.org/programs/tour.cfm. Where and what level do you currently teach and why did you choose to become an educator? North Shore Community School Grade 1. I have always enjoyed interacting with young children, because of their spontaneity, innocence, and their ability to learn and teach me. 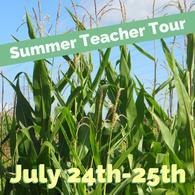 How has agriculture and the Minnesota Agriculture in the Classroom Program impacted your students and instruction? 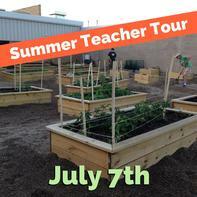 I went on my first teacher tour in the summer of 2016 and was completely amazed at the many ways I could use agriculture in my classroom. 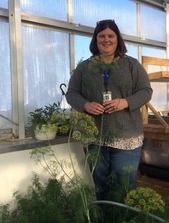 The tour encouraged me to try new lessons and integrate our new greenhouse into my current 1st grade curriculum. I learned that a plant not growing is not failure, but a learning experience. The Facebook Live Virtual Field Trip to Meadow Star Dairy is now available on the MAITC YouTube page. To find lesson ideas and vocabulary, take a look at the preteaching guide. We want to give a HUGE thank you to Riverview LLP for hosting us at Meadow Star Dairy. Please take a few minutes to share your thoughts on MAITC's Virtual Field Trips with this survey. We will use this information to determine locations and dates for future field trips and improve the impact these experiences have on students. The MAITC Foundation is looking for new members to serve a two year term starting in July 2017. 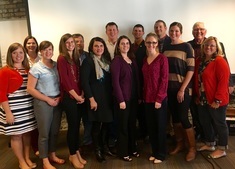 MAITC Foundation Board of Directors members provide leadership and support for the MAITC program. Interested parties can find more information here. If you are taking a K-6 class on a field trip to a dairy farm in the near future, please apply to receive our Dairy Farm Field Trip Teacher Pack. 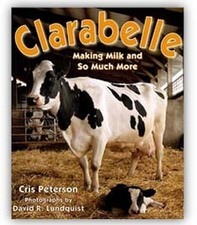 This teacher pack includes two dairy focused books: Clarabelle: Making Milk and So Much More, Extra Cheese, Please!, and grade appropriate lesson plans and activity ideas that could extend dairy-themed learning beyond the field trip experience. We have just five of these teacher packs remaining so please apply as soon as possible! 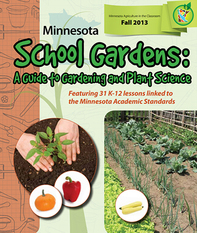 In addition to instructions for establishing and maintaining a school garden in Minnesota, this guide contains 31 plant–science based lessons that assist in embedding gardening content into the classroom. All lessons are correlated to core curriculum concepts and Minnesota K-12 Academic Standards in science, social studies, language arts, math and nutrition. The subjects of this guide - plants, gardening and food - inspire a natural curiosity in students and lead to incredible hands-on opportunities and experiential learning. Printed guides are available. This month's trivia question comes from the Virtual Field Trip to Meadow Star Dairy. How many cows are milked at Meadow Star Dairy? Please email Keri Sidle with your answer to win an MAITC reusable shopping bag.